RMS Skip Hire is committed to offering high-end waste management and skip hire services in Dartford. Our certified waste management and skip hire specialists, provide the most efficient skip hire solutions to make the waste disposal process as hassle-free as possible for you. Our primary objective is to provide top-notch skip hire services for residential, commercial and construction projects in Dartford. 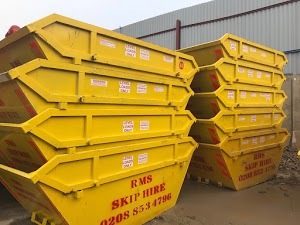 Whether you are an individual looking for quality skips or a business that requires end-to-end waste management services, RMS Skip Hire provides everything that you need. We understand the value of your time, so we deliver your skips at breakneck speed. Our waste management and skip hire services are ideal for reducing environmental pollution, as we focus on recycling a lot. We deeply believe that managing your waste is our responsibility, so we go one step further to arrange a skip hire permit for you, in case you want to put your skips on a public road. We also offer Wait and Load services for both residential and non-residential projects. Our online skip hire service is designed to save time and offer convenience to our clients. We maintain clear and swift communication with each client to avoid any sort of chaos and confusion. What makes us stand out in the crowd is our willingness to provide reliable solutions at competitive rates. So, individuals and businesses looking forward to hiring excellent waste management and skip hire services in Dartford can contact us.